The School Community came together today to celebrate our first whole-School Mass of this term. The message of the Mass was that Jesus’ door is open to us all; all we have to do is enter. 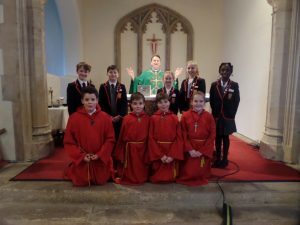 Father Denis also blessed the prayers that were written by the children during Wednesday’s Chaplaincy Group Liturgy, the subject of which was New Beginnings. It was a lovely Mass, full of prayerful reflection and singing. Thank you to all of the parents who attended. 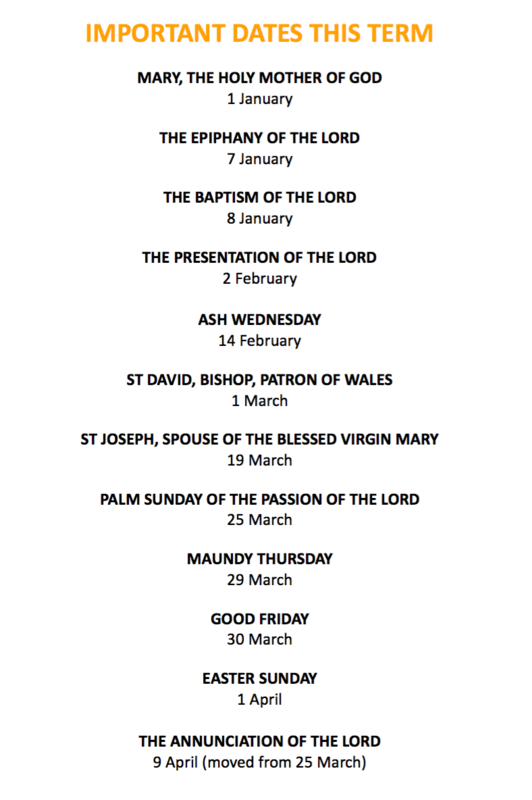 This term we will be studying the three themes of Local Church (Community), Eucharist (Relating) and Lent/Easter (Giving). Each class will approach the themes through different topics.